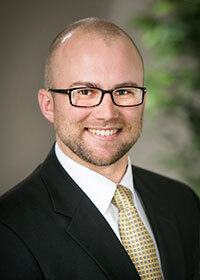 Toby has a wealth of experience in litigation including professional liability, employment actions and matters before the professional licensing boards. Prior to joining HMDR&S, he served as Prosecuting Counsel for the Massachusetts Division of Professional Licensure where he handled a wide variety of matters involving healthcare professionals, engineers, architects, accountants, veterinarians, home inspectors and speech pathologists. When away from the office, Toby enjoys fly fishing, surfing, lacrosse and homebrewing. “Breaking Up Is Hard to Do: Ethical Considerations and a Practical Approach to Dismissing Patients.” Journal of the Massachusetts Dental Society. Fall 2018 Authors: Thomas (Toby) Bright, Esq. and Brian E. Sopp, Esq. "The Dental Professional Review and Evaluation Program: Lessons and Implications for Professional License Defense." Inside Medical Liability Third Quarter 2014: 16-18. Authors: Thomas Bright, Esq. and Vincent Dunn, Esq. "Professional Licensing Board Disciplinary Proceedings: Myths and Realities." HMDR&S Legal Bulletin July 2014. Author: Thomas Bright, Esq.